Cassino, Alamein and Takrouna were known as the Grey Virgins, and resisted attempts for many years. Alamein and Takrouna remain unclimbed directly from the Grey. From the Nansen névé, the summit pyramid involves snow slopes or a rock scramble, depending on conditions. 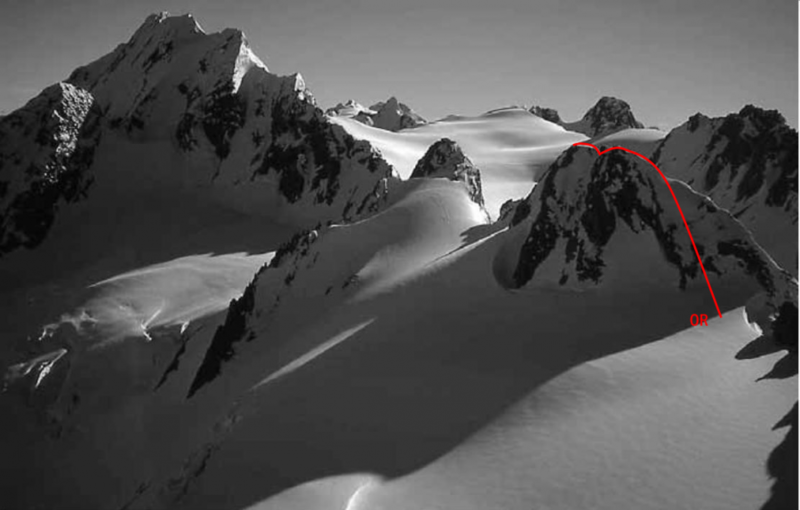 A traverse of this peak along the Divide is straightforward.